Silver Amethyst is a dark violet color with silver. Work in a cool oxidizing flame to prevent overheating and striking the color. When ready to strike, either kiln strike at 1050F or bathe the glass in a gentle bushy neutral flame to bring out the soft blue strike. C3-124 Silver Amethyst is best suited for moderately thick coil-potted blown work and sculptural applications. 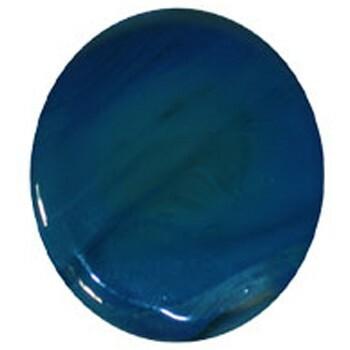 When encased in clear this color produces a vibrant violet with wisps of metallic blue. Prolonged reduction leads to a grayish blue opaque surface. Have fun with this color!